The Israeli veterans’ group “Breaking the Silence” on 4 May uploaded a collection of testimonies describing Israel’s assault on Gaza last summer. 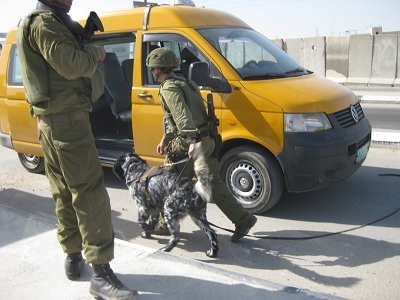 These accounts, the group said, were given by more than 60 Israeli officers and soldiers who took part in the attack and disclose “systematic policies that were dictated to IDF forces of all ranks and in all zones, [… and which] led to massive and unprecedented harm to the population and the civilian infrastructure in the Gaza Strip”. The testimonies and their acclaimed disclosures made headlines in major news venues in Israel and far beyond, including CNN, Newsweek, The Independent, and The Washington Post. Part of what the group itself and its public reception disclose, however, are the very structures – cultural, social and political – that enable the practices and policies it claims to protest. Soldiers’ agonised confessions are a well-established and well-known tradition in Israel. One of the formative and most prominent instances came soon after the 1967 war, in the book titled Warriors’ Conversations, (Siach Lochamim in Hebrew, later issued in English as The Seventh Day). Compiled by combatants from the kibbutz movement, then a prominent participant in Israel’s military and social elite, it set a precedent for a practice that still seems largely limited to Israeli elites. Some critiques describe such confessions as a substitute for action, and a common Hebrew phrase dubs it “shooting and crying,” that is, an act through which the soldier clears his conscience (at least somewhat), without taking personal responsibility or any practical steps, either to prevent “inappropriate behaviour by soldiers in the field” as it occurs, or to redress injustice and prosecute criminals later. Yet, in a telling reflection of the militarisation endemic to society in Israel, widespread usage of the deprecatory “shooting and crying” label hasn’t detracted from the clearly privileged status assigned to testimonies “of former combatants,” as the current group describes themselves. Indeed, the testimonies are even granted privileged status in major segments of the activist, anti-occupation movement in Israel and abroad. This privilege is implied quite clearly in the group’s chosen name, “Breaking the Silence”. The title implies a soldier’s breach of the silence to which he or she is – assumedly – bound as a member of the military and as a comrade. It accordingly references a pact of silence and loyalty which, though understandably difficult to break, in fact stands invalidated when it serves to hide suspected war crimes. But the group’s name also implies much more, as noted on its website. It sets out to address and fill the silence the soldiers discover on “returning to civilian life … between the reality they encountered in the [Occupied] Territories, and the silence about this … at home”. On this account, then, without their testimonies, there is silence throughout the civilian world. The entire, vast body of knowledge and evidence to the very policies they “disclose,” documented, researched, filmed, aired, written and spoken by so many Palestinians and civilians, is portrayed as a silence, a void. The implication is that these particular testimonies bear special weight and merit special consideration. They’re supposedly unique for being particularly brave, for daring to break the pact. This affords them an aura of heroism, and grants them added credibility. 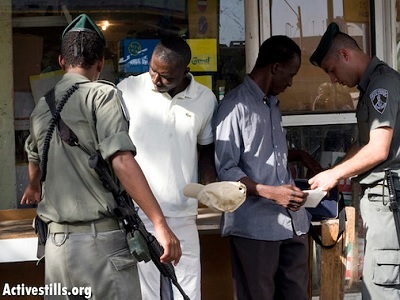 In addition, they are taken to be especially reliable as first-hand accounts of soldiers on the ground, who are seen – in Israeli society, in much of world media and even in much of Israel’s left – as less suspect than the obviously and necessarily biased “enemy” (in the form of Palestinian human rights groups, caregivers or other eyewitnesses). According to such perceptions, these testimonies, provided by people who are privy to top-secret information, are special for finally, actually revealing The Truth. Still, there was no silence. Painstakingly, against the odds, exploding buildings, bodies and infrastructure were documented and transmitted in a surge of images and information. These included, for instance, the lists of names, documented one by one on Palestinian news sites and the Palestinian Health Ministry website, which were then carefully collected, translated into Hebrew and published by the Israeli news site Local Call; and the count of over 1,400 innocent Palestinian civilians dead, including over 540 children, by the end of the attack. Or the quantity and intensity of shelling reported from crowded civilian areas such as Raffah, which was bombarded with more than 1,000 shells in three hours, killing 130. Or the indiscriminate shelling recorded in the neighbourhood of Shujaiyah, killing over 50, including some 20 children. The important, if modest, resource of concrete personal accounts, gave some degree of tangibility to the incomprehensible numbers and records of devastation. Such accounts shared by friends, joined testimonies from survivors, reports by journalists and bloggers, the findings of UN agencies (the Office for the Coordination of Humanitarian Affairs and the United Nations Relief and Works Agency), the fact-sheets of human rights groups (Human Rights Watch, Amnesty International, The Palestinian Centre for Human Rights, Aldameer). Many of these were covered in Hebrew as well as Arabic and English and even, to some extent, in Israel’s commercial media. While the content of the Israeli soldiers’ testimonies is not without value, its seemingly natural claim to special status, both in and beyond Israel, in fact supports the militarised culture engendering, allowing and condoning policies of “massive and unprecedented harm to the population and the civilian infrastructure”. – Rela Mazali is an author, an independent scholar and a feminist anti-militarist activist from Israel. Her latest book is Home Archaeology (2011, in Hebrew) and a Turkish translation of her recent article “Speaking of Guns: Launching gun control discourse and disarming security guards in a militarized society,” was published in the latest issue of the online journal Feminist Yaklasimlar.